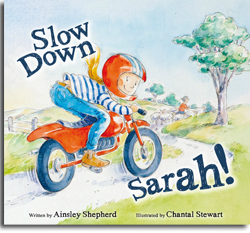 From Concept to Competition | Slow Down Sarah! 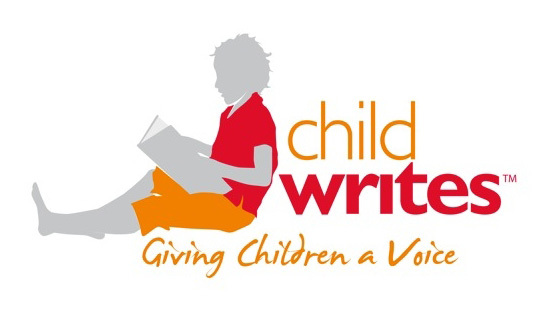 In that split second, as I sat with intense anticipation, longing to hear the title of my book being stated as the winner of the picture book competition at the CYA Conference (Children and Young Adult Writers) Conference, I was awash with emotions. Elation and thrill were about to burst forth. The winner’s name was about to be called, and I just knew it was going to be me! Imagine my disappointment when the announcer finished her sentence with “…Stanley.” I couldn’t believe it! There was another entrant in the competition, in that same category, and it was called Slow Down Stanley!?!?! And in that moment – when I expected the sentence to be finished with “…Sarah”, I thought I had it in the bag. All the wind left my sails in one split second and there I was deflated, disappointed, disbelieving. I felt like a popped balloon. How could this be? Fortunately I decided to get over my disappointment and get on with it. After all, I had an editor pitch booked with my preferred publisher. This was a little nerve-wracking, but she put me at ease immediately. It seemed that she’d liked my writing style, but didn’t think the book would suit their list. She actually spent time encouraging me to continue as a writer, and asked what my plans for writing were in the future. I left there feeling much less deflated than I’d felt at the competition announcement. It certainly is a challenge to start putting your story out there and to notice the reaction it receives from the public. It wasn’t until weeks later that the full benefit of being in that competition was realised. That is when I received the judges comments on both of the stories I had submitted… to find that they actually thought both were quite good. For anyone who is working on a story, competitions are excellent opportunities. To win is of course outstanding and can open many doors, but what is the benefit for all of those who enter but are not deemed number one at the time by those particular judges? Firstly, competitions force you to a) Work to a deadline and finish your story in time to submit it; and b) Provide you with excellent feedback that you can then use to improve your story or to launch you into the next stage, being to seek publication. For me, the feedback I received for Slow Down Sarah! was the confidence that I needed to go ahead and start submitting my book to potential publishers. So I set about doing that, which opened a whole new chapter in the cycle of becoming a children’s picture book author. Child Writes… the beginning of our adventure together! And of course, something else very good did come out of my attendance at the CYA conference (besides the great information I learned)… and that was meeting my soon to be business partner and friend, Emma Mactaggart! Emma was a dynamic speaker at the conference, and is also the founder of Child Writes. 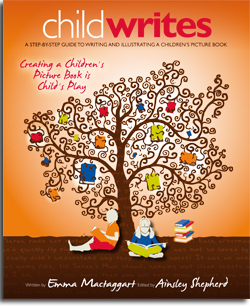 When we spoke together, we could see that we absolutely had to work together to bring Child Writes to every budding child author and illustrator in Australia. And it’s been an exciting ride since then. A very worthwhile weekend indeed! This entry was posted in Uncategorized on 05/03/2014 by One Heart. Launching Sarah into the Big, Wide World!